Feeling down in the dumps? 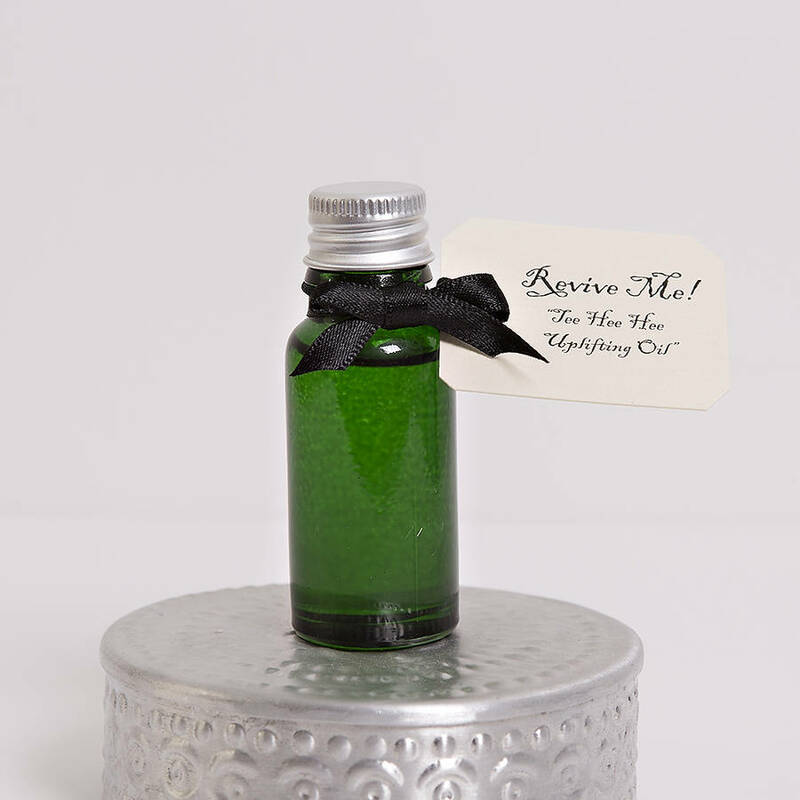 Our uplifting oil helps to balance life's ups and downs, just rub a couple of drops on wrists / temples. This lovely Soothing Oil is great for anyone who might be feeling down, Just massage a couple of drops in 2-3 times a day. The ingredients have been carefully chosen for their natural therapeutic properties - helps to revive and lift your mood. Handmade with pure natural ingredients that are chemical free and kind to your skin, soothing your body and calming your mind. Tee Hee Oil is packaged in a beautiful little Glass Bottle with a large label, pretty ribbon and wrapped in tissue paper - makes a great gift. Ingredients: Apricot Oil, Grape Seed Oil, Castor Oil, Vitamin E Oil, Rosemary, Lavender, Frangipani & Bergamot & Benzoin Essential Oils. Apply a few drops on to wrists & temples- inhale! This product is dispatched to you by Apply Me.